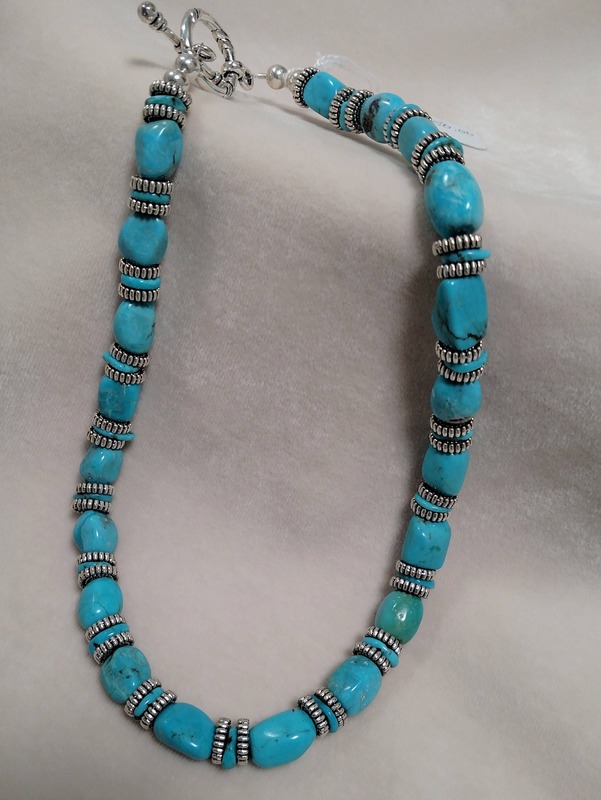 Gorgeous turquoise from the Kingman mine in Kingman, AZ with silver-toned rondelles to adorn your neck. 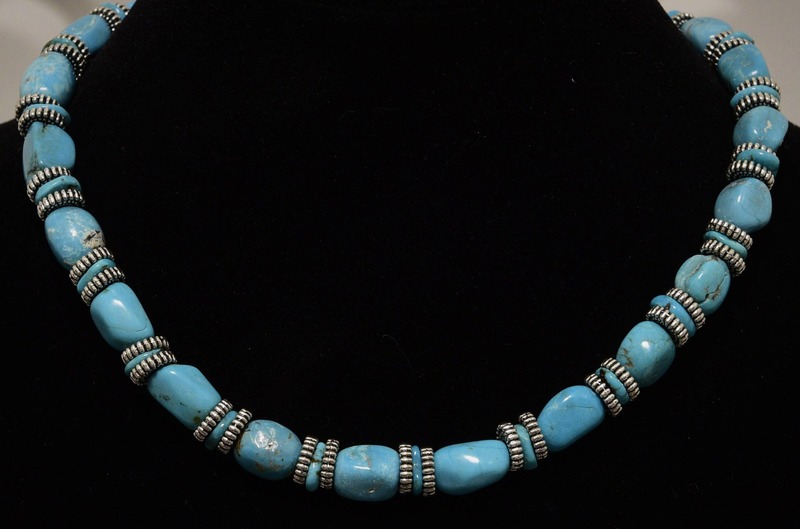 The stones on this choker are so beautifully rich blue; classic Kingman mine color. Enjoy!